Located at Lakeside, on the southern tip of Windermere, the Lakes Aquarium is an award-winning freshwater aquarium. Themed habitats show the diversity of life in the lakes in the Lake District and around the world. The Asia habitat is one of the most popular areas of the aquarium and is home to the aquarium’s playful Asian otters while the Morecambe Bay exhibit is home to cod, rays, and sharks. The Seashore Discovery area offers an insight into the miniature world of rock pools and the fascinating creatures that inhabit them, and the Virtual Dive Bell allows visitors to interact with hippos, crocodiles and sharks. Ticket prices are £9.15 for adults, £7.75 for pensioners, and £6.10 for children (3-15). Children under 3 enjoy free admission. Significant discounts can be obtained by buying tickets in advance from the official website. The Lakes Aquarium is open daily throughout the year (closed Christmas Day). Opening times are 9 am to 6 pm, with last admission at 5 pm. Oscar’s Restaurant is next to the aquarium and offers good views of Windermere. It serves soups, sandwiches, baked potatoes, and more. The aquarium is situated at Lakeside, a small harbour at the southern end of Windermere. Lakeside is also the northern terminus of the Lakeside and Haverthwaite Railway and one of the boarding points for Windermere Lake Cruises. Combined tickets for the aquarium and the Lakeside and Haverthwaite Railway/Windermere Lake Cruises offer good value for money. To reach it by car leave the M6 at Junction 36 and take the A590 (signposted for the Western Lake District, Lake District Peninsulas, and South Lakes). At the first roundabout, bear left to keep on the A590 and follow the brown tourist signs for the aquarium. Owners of satellite navigation systems should note that the postcode for the Lakes Aquarium is LA12 8AS. There is ample car parking outside the aquarium. Parking charges are £3.50 for 10 hours. 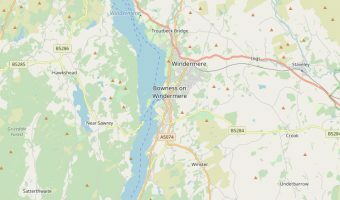 The aquarium can also be reached by water from Bowness/Ambleside with Windermere Lake Cruises or from Haverthwaite (towards Ulverston) on the Lakeside and Haverthwaite Railway. In the summer Windermere Lake Cruises operate a ferry from Fell Foot Park to Lakeside. Map showing location of Lakes Aquarium. Brilliant visit today with my 8yr old granddaughter. I would like to thank the gentleman (a member of staff) who spoke with my granddaughter and I with regard to the Kemps Ridley turtle washed up at Maryport. His caring manner towards my granddaughter when he told her it had died was really first class. She was most interested in the turtle when I had told her and she was keen to know when the turtle would be well enough to be seen. Thank you for your kindness. Lovely visit. I loved watching the ducks swim down past me whilst I stood in the tunnel under the water. It was such a good experience to see. The otters here are very cute and playful.